fantastic! More comics about Menemsha please! 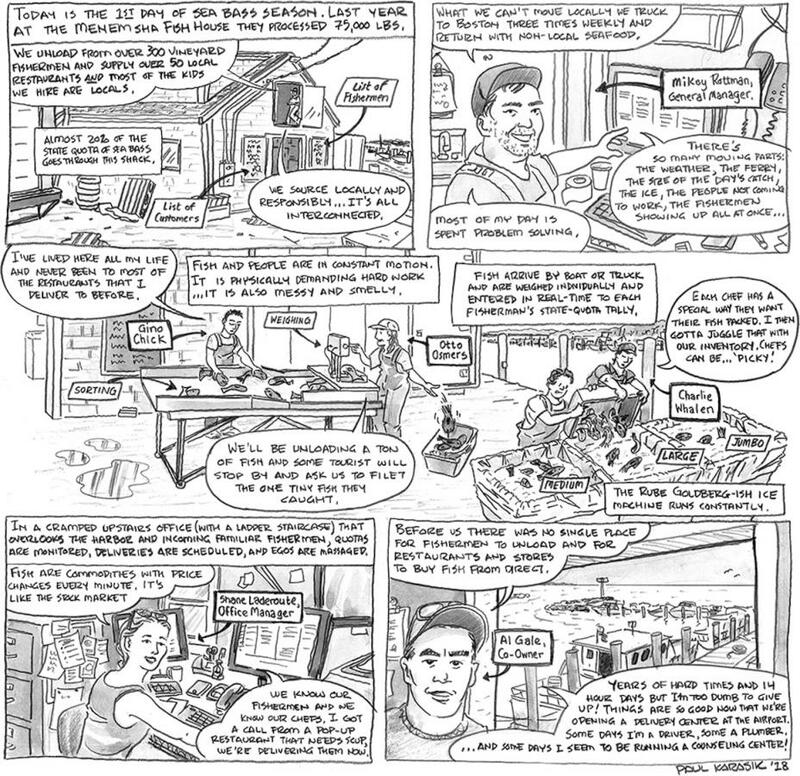 Excellent and unique graphic report, I feel like I've been to the fish house and met the people and all I've had was a few square inches of paper! Good work...more please. Virtual reality and other technologies are great, but paper/writing/drawing is still magic. Wonderful report as always, Paul. I'm sure you've thought of this, and perhaps it's in the offing; but these ought to be compiled into a book, or series of books. I don’t mind going to the laundromat. It’s surprisingly pleasant.